I know this story was released a couple of days ago, but the stupidity has to come to an end. I mean its hit an all-time low with this new challenge among teens. For those of you who don't read or watch the news, teens have found a new way to entertain themselves. They're challenging each other to eat Tide Detergent Pods online in what they're calling the "Tide Pod Challenge." WHAT? That is the dumbest thing I've ever heard! So, a government watchdog is expressing concern over the dangerous misuse of the laundry detergent. 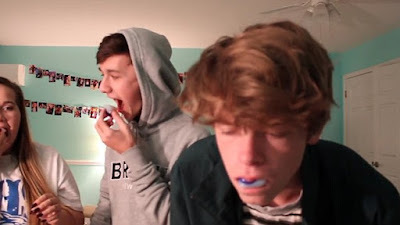 In this latest social media fad, teens are putting the detergent pods in their mouths for the challenge. 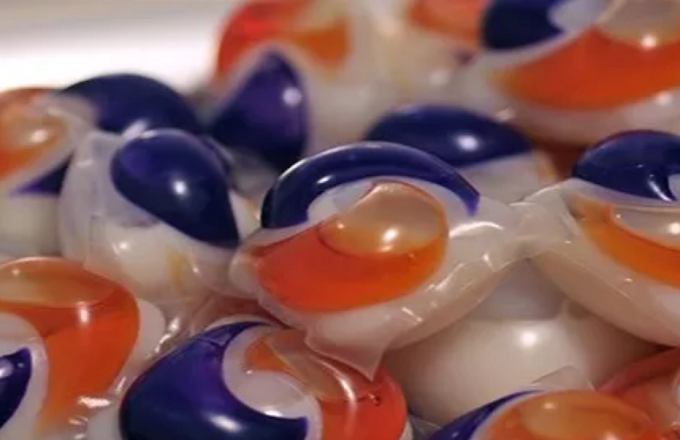 The ingredients in the pods include ethanol, hydrogen peroxide and polymers, a highly-toxic mix of detergent meant to wipe out dirt and grim. Manufacturers have been concerned about toddlers mistakenly ingesting them, but now teens are popping them on purpose and posting videos of the results online. I mean, when we were younger, I remember getting my mouth washed out with soap for cursing, but this is way more dangerous! According to 19-year-old, Marc Pagan, "A lot of people were just saying how stupid I was or how.....why would I be willing to do that? No one should be putting anything like that in their mouths, you know?" Acting chairman of the Consumer Product Safety Commission, Anne Marie Buerkle, says ingesting any of the liquid carries a deadly risk. She continued, "This is what started out as a joke on the Internet and now it's just gone too far." The pods are bright and colorful and to children, they look like candy. At least 10 deaths have been linked to ingesting these pods already. Two toddlers, and eight seniors with dementia. Okay, toddlers, who don't know any better, and seniors with dementia, who don't know any better. Teenagers, who know better equals stupid, stupid, stupid! Procter and Gamble, the maker of Tide products, told one news source, "They should not be played with....Even if it's meant as a joke. Safety is no laughing matter." More than 62,000 children under the age of six were exposed to laundry and dishwasher detergents between 2013 and 2014. The next year, Consumer Reports said it would no longer recommend detergent packets, citing "the unique risks" while urging the "adoption of tougher safety measures." Buerkle says her group has worked with manufacturers to make the packets less attractive to children." She said, "Making that laundry packet opaque, less attractive, less colorful, reducing the toxicity and the strength of the laundry detergent." This is so silly that we even need to call attention to this, but anyone concerned about the dangers of laundry pods can get more info from the American Association of Poison Control Centers. If immediate help is needed, you can call 1-800-222-1222, or text "poison" to 797979 to save the number in your phone. The fact that I even need to give you that information for laundry detergent pods is plain stupid. Anyone who even attempts this challenge seriously needs to get their heads checked. The stupification of America continues!